Are you looking for a wonderful paving and asphalt company? 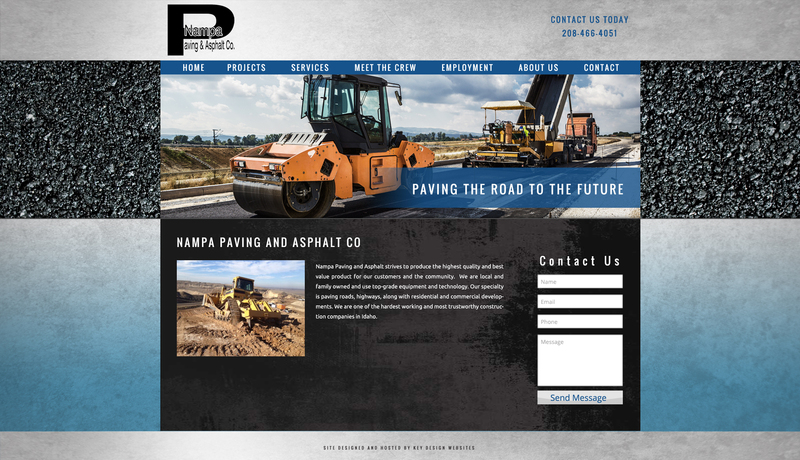 Nampa Paving and Asphalt, located in Nampa, Idaho should be your next call! They are a family owned and operated business. They utilize top grade equipment and technology and consist of highly experienced and professional employees. They specialize in paving roads, highways along with commercial and residential developments.